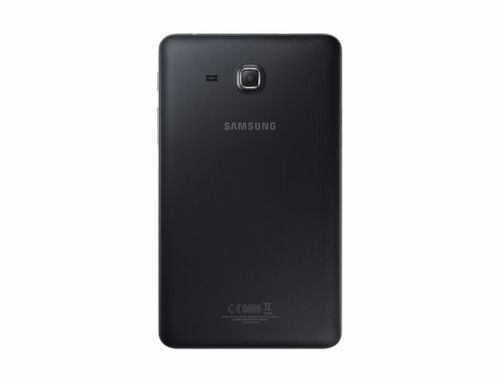 This Samsung Galaxy Tab A features a slender design with curved edges, which is stylish, lightweight and compact. 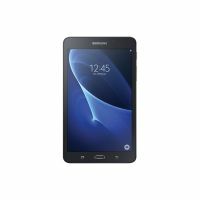 With a 1.8GHz quad core processor and 1280 x 800 (WXGA) resolution (main display), the Galaxy Tab A allows you to record video in HD (1280 x 720) @30fps and play video FHD (1920 x 1080) @30fps. 8GB of storage can be expanded with SD cards and the tablet also features a 7 inch 1280x800 liquid crystal display, as well as an 8 Megapixel rear and 2 Megapixel front camera.